In preparation for Back to School time, I put together a fun alphabet sorting activity for my 4 year old. 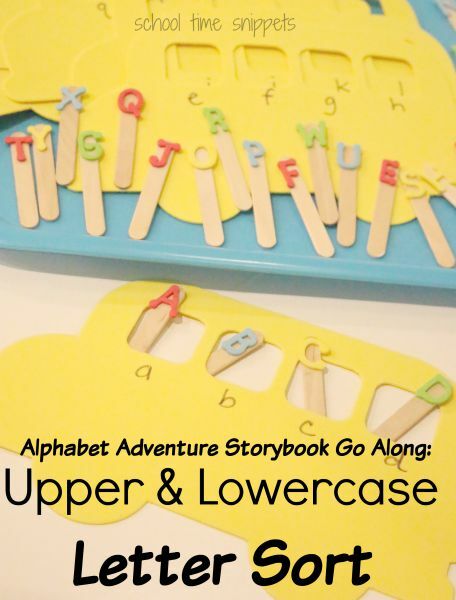 We first read the book, Alphabet Adventure and then went to work sorting out the letters so that they could hitch a ride to school! 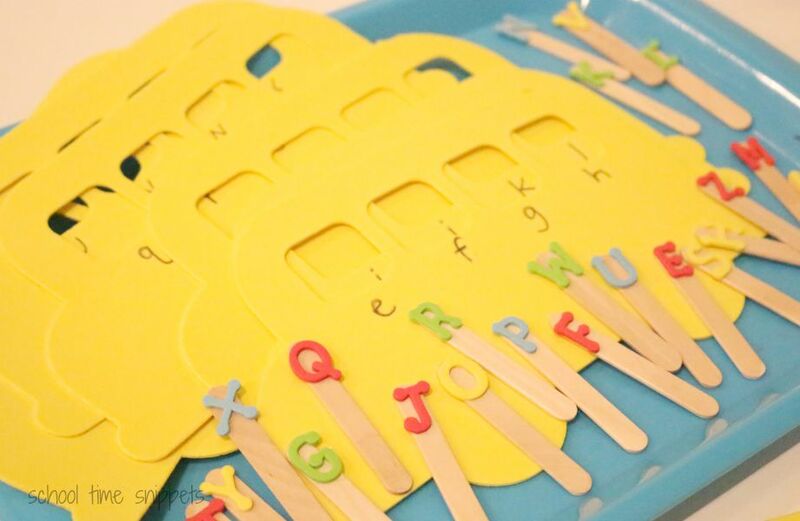 Begin by putting a foam alphabet sticker on each Popsicle stick. 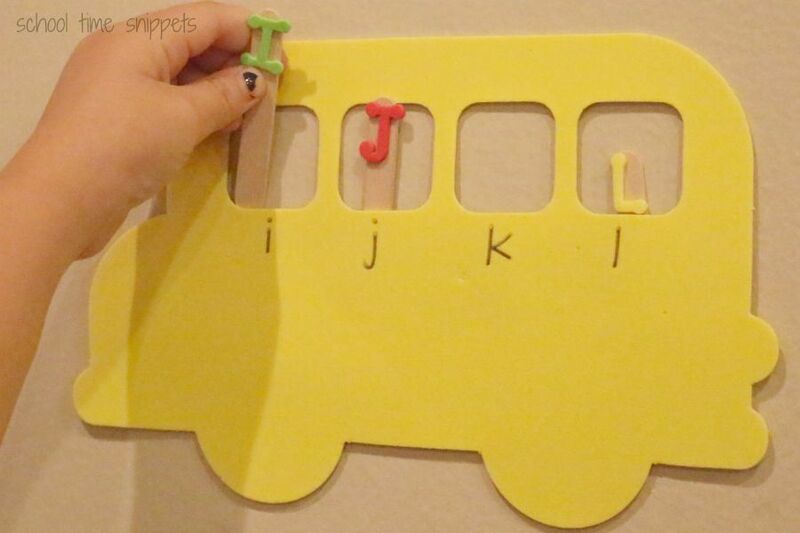 Next, write a lowercase letter beneath each window seat on the foam school bus. 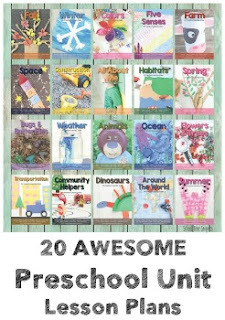 Then, I used painter' tape and hung up the school buses on the wall, but you could simply leave them on the floor for this activity as well or glue them inside a file folder to make a file folder game. Set out the uppercase letter Popsicle sticks and encourage your preschooler to help them find the right seat on the bus by matching it to the lowercase letter. 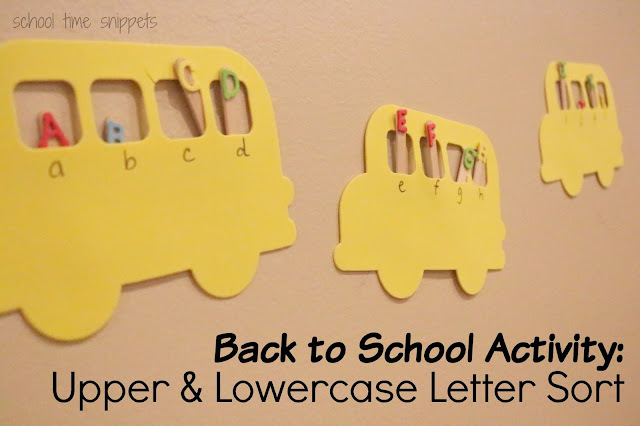 Such a fun Back to School themed letter sorting activity! Once the letters have been sorted, make a cute personalized pencil craft for your homeschool!